You can scan items in your kitchen to add them to your shopping list and receive help ordering, reading recipes, and converting measurements from Alexa. It costs $20 but you’ll get that much in credit for AmazonFresh if you buy one, so it pays for itself as long as you intend to use Amazon’s food service. Samsung’s smart fridges, called Family hubs, come with a giant touchscreen that displays your calendar, lets you play music, and lets you order new groceries when you’re running low. There are cameras inside the fridge that take images of your food so you can check to see if you need to pick up more milk before you leave for work. The starting price for the base model is $3,500. GeniCan sits with your trashcan to make sure you never forget the groceries you need. To add items to a shopping list, simply swipe the item’s barcode and you’ll find the item listed on your GeniCan smartphone app. What about items without a barcode? Easy; GeniCan will sense there is no barcode and ask you what it should add to your list. Using the free WeMo app, you can check on your slow cooker’s temperature and cook-time, change settings to warm or turn off the device on your phone, etc. It makes cooking with a crockpot more convenient than ever, especially if you’re sitting in traffic on the way home. 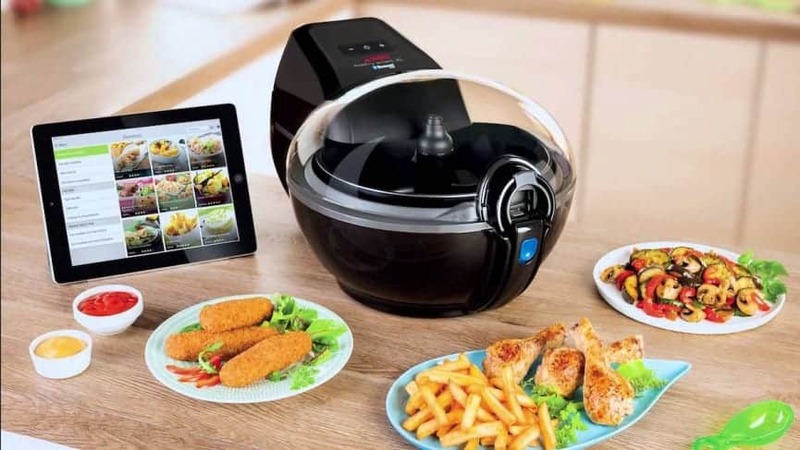 This fryer is Bluetooth powered and lets you send recipes to it directly from your smartphone. The idea is that the fryer does that hard work for you, so you don’t need to worry about what temperatures to use or when to stir it up. The app is also on hand to give you step-by-step video instructions for the things the fryer can’t do independently. For those who like tracking their calories through food tracking apps, the SmartPlate wants to make your life easier. The 10-inch plate is Wi-Fi and Bluetooth-enabled and comes equipped with 3 mini cameras and weight sensors. If you serve yourself too large of a portion, the plate will alert you. There is also an app that syncs up with the plate to automatically analyze and keep track of every meal, and it connects to MyFitnessPal and FitBit. HAPIfork was the star of the show at CES a few years ago. It’s a smart fork that helps you monitor and track your eating habits. 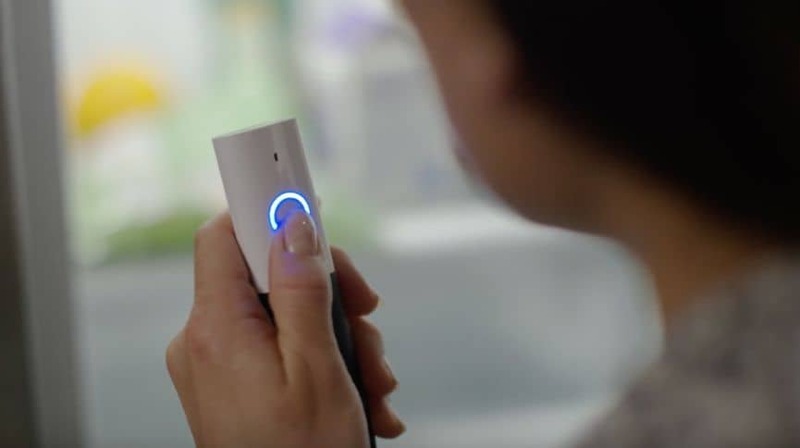 Using Slow Control technology, the connected cutlery measures how many mouthfuls you take and buzzes and flashes if you’re eating too quickly. There’s also a dashboard for you to analyze your meal-time performance. Connecting via Wi-Fi or 4G, this smart kettle is compatible with both Amazon Alexa and If This, Then That for more integration than ever. You can use the app to boil your kettle remotely at any time, or use Wake Up Mode that will begin boiling your water when you get out of bed. There are also modes for keeping your water warm and heating your baby’s formula.